The Master Lock No. 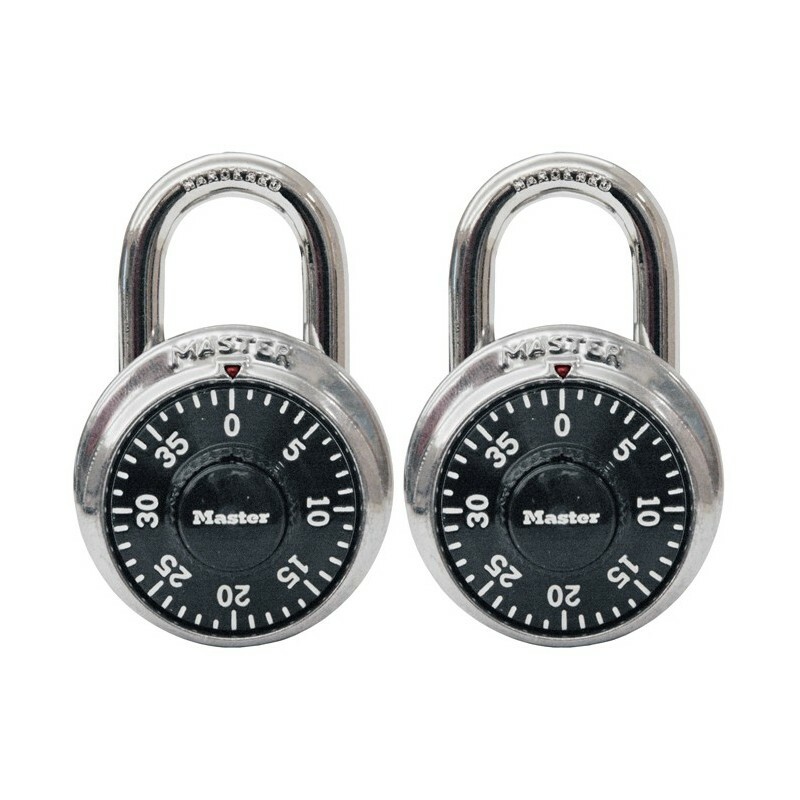 1500T Standard Dial Combination Padlocks feature a 1-7/8in (48mm) wide metal body for durability, with a stainless steel cover. The 9/32in (7mm) diameter shackle is 3/4in (19mm) long and made of hardened steel, offering extra resistance to cutting and sawing. The 3-digit combination offers keyless convenience. The locking mechanism features anti-shim technology, offering maximum security. The Limited Lifetime Warranty provides peace of mind from a brand you can trust.